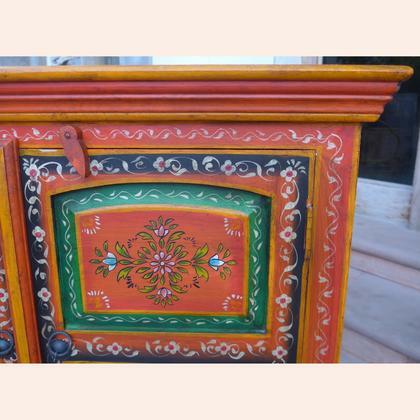 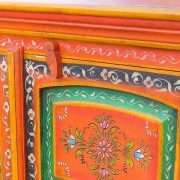 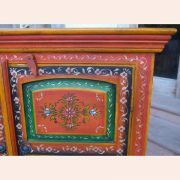 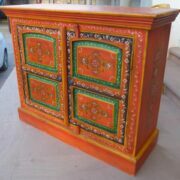 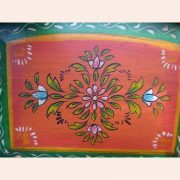 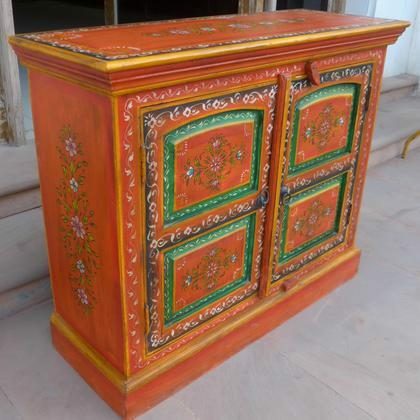 Intricately hand painted floral style sideboard. 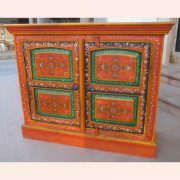 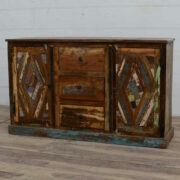 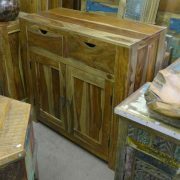 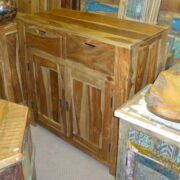 A really visually pleasing, delicately decorated item, this sideboard is a real eye-catcher while remaining practical. 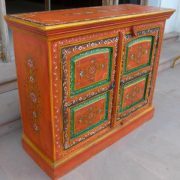 Predominantly red in colour though subtly accented with a rustic yellow colouring, the piece has a floral theme. 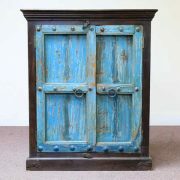 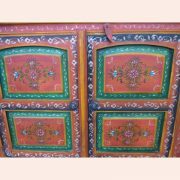 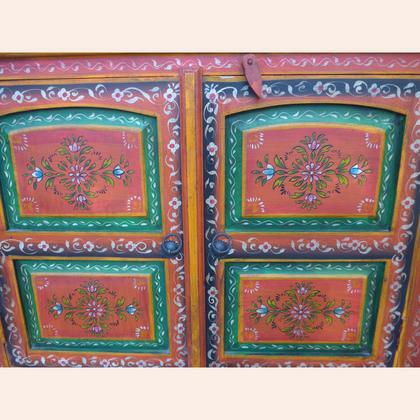 On its top, sides and panelled doors it has a matching floral detail. 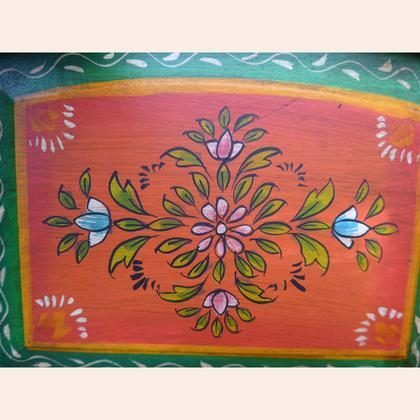 Intricate green leaves are symmetrically interspersed with pink and blue flowers to a very pleasing effect. 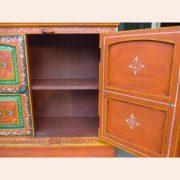 Inside cupboard is one internal shelf that creates two generous spaces for storage as it is not interrupted by a vertical divide. 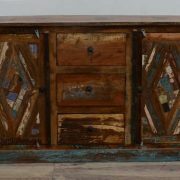 Sitting on top of a sturdy curved based and with a thick, decoratively moulded hardwood top, this piece is built to last. 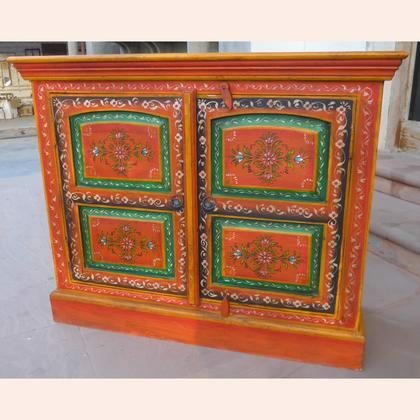 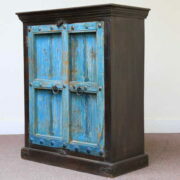 A beautifully decorated handy piece, this medium sideboard would be perfect for a bedroom, living room, lounge, hallway or landing in a more colourful home.